The heating industry is becoming increasingly digital, as evidenced by several new types of remote-control devices that were on display in the Energy halls of this year’s ISH, the world’s leading trade fair for bathroom design, building services, HVAC systems and renewable energy. The event, which took place in early March in Frankfurt, Germany, attracted 2,532 exhibitors and 190,000 attendees, 5 % fewer than two years ago. In the photo, which was taken at the stand set up by German boiler and collector manufacturer Viessmann, a huge screen shows what smart home systems could look like in the future. The product was developed by another company between 2012 and 2018. Last spring, that business was bought by Viessmann. Even under new ownership, those who designed Wibutler have remained partly independent to be able to continue working with other heating component manufacturers on adapting their products to communicate with the platform. They include Paradigma, Resol, Remeha and Wolf. The clear advantage of the solution is that installation companies have to get used to only one app and one platform. The open standard allows installers to integrate other products within a do-it-yourself menu and to keep up with customers’ growing demands for home automation. Another exhibitor at the ISH was Turkish solar collector manufacturer Bural Solar. 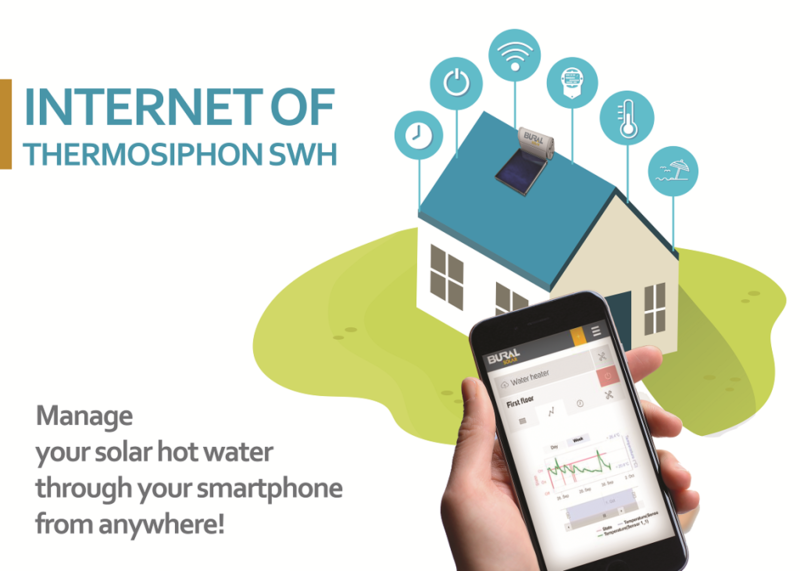 The company used the fair to launch an app called Bural Smart Thermosiphon SWH. “Our application lets you control the electric backup unit of your thermosiphon water heater on your PC or smartphone,” explained Kutay Ulke, International Sales Manager at Bural. As the price of electricity has been on the rise all over the world, the app helps owners of thermosiphon systems minimise electricity use for backup units. App users can turn electric elements on or off and use different profiles, such as ‘On holiday’ or ‘Be home late’, to prevent electric backup systems from running in the evening. The program transmits data on storage tank temperatures in real time and displays a week’s worth of information about demand for backup power. It also has a remote-control function to notify users by email or text of any technical problem. Bural started rolling out the new software solution after the ISH. German solar thermal controller manufacturer Sorel also exhibited at the ISH, showing its new brand Caleon. This line of smart thermostats equipped with a touchscreen lets building owners easily adjust temperatures in several rooms at once by using only one device. The units transmit data over Z-wave plus, a wireless communication protocol mainly used for home automation, to allow homeowners to choose from thousands of comparable products when it comes to the rest of the equipment.